#communityhobby Third Edition - We're Gaining Traction! HomeNews & Community#communityhobby Third Edition – We’re Gaining Traction! 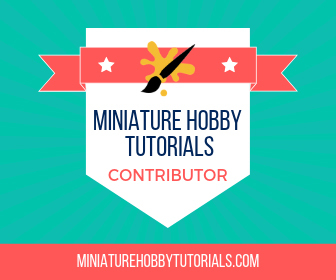 #communityhobby Third Edition – We’re Gaining Traction! Here we are at the 3rd outing of #communityhobby and it’s starting to gain some momentum. This is the most submissions we’ve had yet, and they’re all from Twitter. Afternoon off so what better way to spend it than painting monkeys! John had shared this in time for the last #communityhobby, but I completely forgot to snag it. So, it’s late but here it is! Anyway, those are some cool looking monkeys. Starting laying in all the yellow for my Iron Warriors Breachers. Some great progress by Rory on the group. The yellow looks great, which I know is a pain to paint. Now to do some basing and fill in those shoulder pads! I see hazard stripes are done as well. Looking good! Some awesome looking Meks from Joe. I always love the vibrancy of the blue on these guys; it just makes things pop. Which is a great start on a Dreadnought for Dreadtober. I’m sure this will look awesome once it’s all done. Remember, if you’d like to be featured in #communityhobby, you only have to tag your stuff #communityhobby on any of the social media site’s we’re on (top right), and you’ll be included! Cheers for the compliments. Glad to see this taking off. Always nice to get a snap shot of peoples work. I do hope it takes off. It may be a vain attempt to merge social media and blogging, but we’ll see. I will keep using it for sure. Thanks for featuring my Monkeys! I post most of my pictures on instagram under the same @handle. Have also just restarted blogging so many thanks for helping inspire me. That’s awesome about blogging. What’s your blog’s URL? If you aren’t on there already then I’ll add you to the blogroll. Great works. Sorry i forget to send you some pictures of my work.